Another day, another challenge! This time it is the Clean & Simple blog's fall to layout #124. I have had a lot of birthday cards to make lately, and I am finding the challenges helpful to me in getting them all made. This is a pretty simple card (that is the whole idea, right?!?) 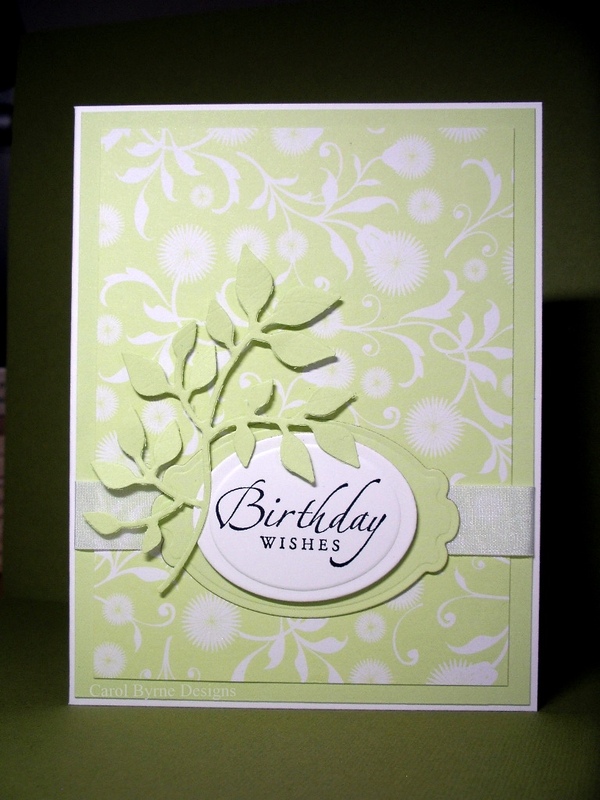 using some pretty lime and white designer paper by Collage Press, white silk ribbon, a sentiment from SU, and a couple of nestibilities and sizzix leaf die. This is so pretty, Carol! 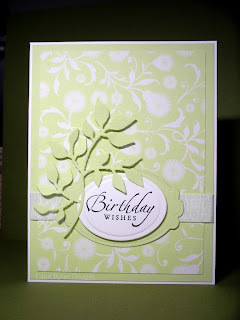 Pretty DP and I love the die cuts! Looks like summer! What a beautiful card! I like the PP and your leaf cutout. I'd make many using different colors just to have on hand. Your colors are gorgeous! And the leaf works perfectly with the paper! How did I miss this? Beautiful job, gf! You rocked that challenge!